You can find Part 1 of my 2018 Challenges here. This challenge is hosted by Charlie at The Worm Hole. I missed doing this challenge last year, excited to add it in 2018. This is the sign-up post for the eleventh annual What’s In A Name challenge, originally started by Annie, handed to Beth Fish Reads, and now continued here at The Worm Hole. On January 1 I’ll publish 7 posts, one for each category and one for your wrap-up post. These posts will be published as WordPress pages and linked to from the What’s In A Name logo on the sidebar. You will be able to post your links to your reviews or leave comments, depending on whether you’re a blogging reader or a non-blogger reader. If you are a blogger, please leave one review per category. You’ll be able to find the gateway post through a link I’ll be adding to the navigation section of my sidebar. If you have trouble finding a book for a category, have a look at the corresponding page for it here once the challenge has started – readers who’ve already completed the category will have linked to their reviews and added titles that you can look through. To join the challenge, sign up using the Mr Linky if you’re a blogger, and if you’re not a blogger please email me your details (I’ve had to turn off comments on this post because the spam has become too much). If at any time you have difficulties adding your link, email me at the address on my contact page with your information, and I’ll add it myself. And remember that you don’t have to sign up today – as the challenge runs until the end of 2018, you can sign up at any time during the year. This challenge is hosted by Stormi at Books, Movies, Reviews. Oh my! and Barb at Booker T’s Farm. From Stormi & Barb – Where did 2017 go! I can’t believe it’s already time to do sign ups for 2018! I hope everyone who participated this year read a lot of great mystery, suspense, and thrillers. I know I did and I found a lot of new series! I am signing up again at the Detective Level 16 – 25 books. These books will be kept separate from the books I use for the cozy mystery challenges. This challenge is hosted by Book Dragon’s Liar. 4. Reviews are not necessary but a list of books you’ve read is. There will be a link up for reviews if you wish to post them. You can make a list of books you want to read and change them if you’d like. I am signing up for this tour for the exact reason it was created. My print shelves are overflowing as I read more e-books. I am signing up at Middle Grade – 78 books but hope to jump up to teen. This challenge is hosted by Katrina at Bookish Things and More. Welcome to the fifth annual Netgalley and Edelweiss Reading Challenge! 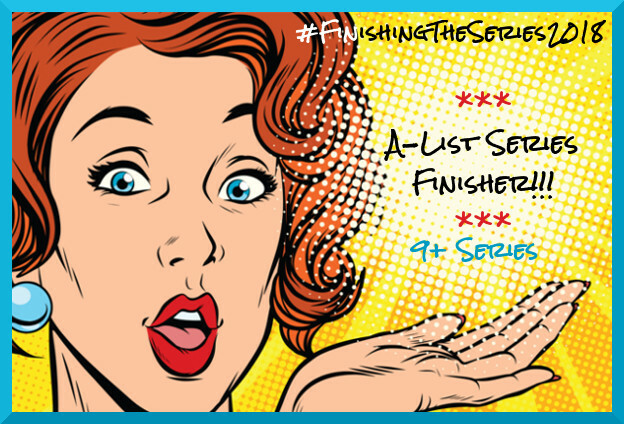 Emily at Falling for YA created this challenge and is passing the torch onto me. I’m excited to be hosting, and can’t wait to get my review ratio on NetGalley up. Reading more and more e-books, but my NetGalley shelf needs some attention. I am signing up Silver but shooting for Gold. This challenge is hosted by Lenoreo and Carly at Celebrity Readers. 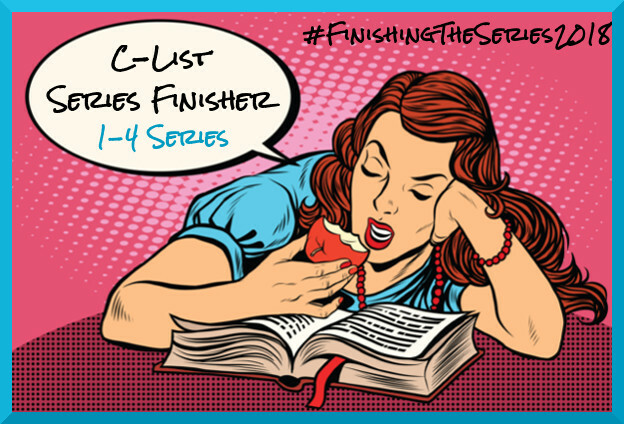 From Lenoreo and Carly – This challenge is focused on finally finishing those series that you’ve started but not yet completed. We participated in a similar challenge in 2016 hosted by Bea’s Book Nook, but we couldn’t find one for 2017. So we decided we would host our own version for 2018! I have several series to finish or catch up on. I am signing up at Level C but hope to move up to Level B.
say that you also are a Reading Challenge Addict. Each edition of the challenge will begin on January 1 and end on December 31. Easy, right? Who wants to be in on the fun? Are you ready? As soon as it shows up in the tabs across the top, sign up on the latest “Reading Challenge Addicts” page. You can join me and Sign Up Here. I will also be participating in the GoodReads Reading Challenge trying again to read 200 books in 2018. The Book Dragon’s Lair will also be hosting their E-Book Challenge and Pages Read Challenges. The sign ups for them have not yet been posted. 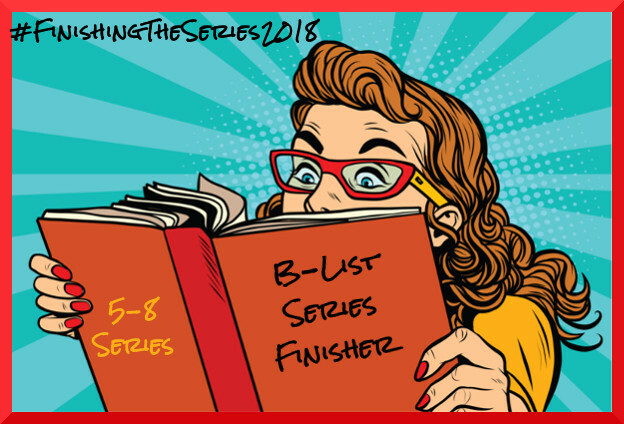 Stay tuned for 2018 Reading Chalenges Part 3 and my wrap up post for my 2017 Reading Challenges. There are 2 places I check in addition to visiting other blogs to stay on top of all the reading challenges. A Novel Challenge and Sleep Less, Read More – Reading Challenges, Events and more!